iishack.exe overflows a buffer used by IIS http daemon, allowing for arbitrary code to be executed. www.yourtarget.com is the IIS server you're hacking, 80 is the port its listening on, www.yourserver.com is some webserver with your trojan or custom script (your own, or another), and /thetrojan.exe is the path to that script. "IIS Hack" is a buffer overflow vulnerability exposed by the way IIS handles requests with .HTR extensions. A hacker sends a long URL that ends with ".HTR". IIS interprets it as a file type of HTR and invokes the ISM.DLL to handle the request. Since ISM.DLL is vulnerable to a buffer overflow, a carefully crafted string can be executed in the security context of IIS, which is privileged. For example, it is relatively simple to include in the exploit code a sequence of commands that will open a TCP/IP connection, download an executable and then execute it. This way, any malicious code can be executed. To hack the target site and attacker's system running a web server can use iishack.exe and ncx.exe. To begin with, the ncx.exe is configured to run from the root directory. IIShack.exe is then run against the victim site. He can proceed to upload and execute any code of his choice and maintain a backdoor on the target site. Install latest service pack from Microsoft. Without any further explanation, the first countermeasure is obviously to install the latest service packs and hotfixes. As with many IIS vulnerabilities, the IPP exploit takes advantage of a bug in an ISAPI DLL that ships with IIS 5 and is configured by default to handle requests for certain file types. This particular ISAPI filter resides in C: \WINNT\System32\msw3prt.dll and provides Windows 2000 with support for the IPP. If this functionality is not required on the Web server, the application mapping for this DLL to .printer files can be removed (and optionally deleting the DLL itself) in order to prevent the buffer overflow from being exploited. This is possible because the DLL will not be loaded into the IIS process when it starts up. In fact, most security issues are centered on the ISAPI DLL mappings, making this one of the most important countermeasure to be adopted when securing IIS. Another standard countermeasure that can be adopted here is to use a firewall and remove any extensions that are not required. Implementing aggressive network egress can help to a certain degree. With IIS, using IISLockdown and URLScan - (free utilities from Microsoft) can ensure more protection and minimize damage in case the web server is affected. Microsoft has also released a patch for the buffer overflow, but removing the ISAPI DLL is a more proactive solution in case there are additional vulnerabilities that are yet to be found with the code. Microsoft IIS 4.0 and 5.0 can be made to disclose fragments of source code which should otherwise be in accessible. This is done by appending "+.htr" to a request for a known .asp (or .asa, .ini, etc) file. appending this string causes the request to be handled by ISM.DLL, which then strips the '+.htr' string and may disclose part or all of the source of the .asp file specified in the request. IIS supports several file types that require server-side processing. When a web site visitor requests a file of one of these types, an appropriate filter DLL processes it. Vulnerability exists in ISM.DLL, the filter DLL that processes .HTR files. HTR files enable remote administration of user passwords. HTR files are scripts that allow Windows NT password services to be provided via IIS web servers. Windows NT users can use .HTR scripts to change their own passwords, and administrators can use them to perform a wide array of password administration functions. HTR is a first-generation advanced scripting technology that is included in IIS 3.0, and still supported by later versions of IIS for backwards compatibility. However, HTR was never widely adopted, and was superceded by Active Server Pages (ASP) technology introduced in IIS 4.0. By making a specially formed request to IIS, with the name of the file and then appending around 230 + " %20 " (these represents spaces) and then appending " .htr " this tricks IIS into thinking that the client is requesting a " .htr " file . The .htr file extension is mapped to the ISM.DLL ISAPI Application and IIS redirects all requests for .htr resources to this DLL. ISM.DLL is then passed the name of the file to open and execute but before doing this ISM.DLL truncates the buffer sent to it chopping off the .htr and a few spaces and ends up opening the file whose source is sought. The contents are then returned. This attack can only be launched once though, unless the web service started and stopped. It will only work when ISM.DLL first loaded into memory. "Undelimited .HTR Request" vulnerability: The first vulnerability is a denial of service vulnerability. All .HTR files accept certain parameters that are expected to be delimited in a particular way. This vulnerability exists because the search routine for the delimiter isn't properly bounded. Thus, if a malicious user provided a request without the expected delimiter, the ISAPI filter that processes it would search forever for the delimiter and never find it. If a malicious user submitted a password change request that lacked an expected delimiter, ISM.DLL, the ISAPI extension that processes .HTR files, would search endlessly for it. This would prevent the server from servicing any more password change requests. In addition, the search would consume CPU time, so the overall response of the server might be slowed. The second threat would be more difficult to exploit. A carefully-constructed file request could cause arbitrary code to execute on the server via a classic buffer overrun technique. Neither scenario could occur accidentally. This vulnerability does not involve the functionality of the password administration features of .HTR files. ".HTR File Fragment Reading" vulnerability: The ".HTR File Fragment Reading" vulnerability could allow fragments of certain types of files to be read by providing a malformed request that would cause the. HTR processing to be applied to them. This vulnerability could allow a malicious user to read certain types of files under some very restrictive circumstances by levying a bogus .HTR request. The ISAPI filter will attempt to interpret the requested file as an .HTR file, and this would have the effect of removing virtually everything but text from a selected file. That is, it would have the effect of stripping out the very information that is most likely to contain sensitive information in .asp and other server-side files. The .htr vulnerability will allow data to be added, deleted or changed on the server, or allow any administrative control on the server to be usurped. Although .HTR files are used to allow web-based password administration, this vulnerability does not involve any weakness in password handling. "Absent Directory Browser Argument" vulnerability: Among the default HTR scripts provided in IIS 3.0 (and preserved on upgrade to IIS 4.0 and IIS 5.0) were several that allowed web site administrators to view directories on the server. One of these scripts, if called without an expected argument, will enter an infinite loop that can consume all of the system's CPU availability, thereby preventing the server from responding to requests for service. Core Security Technologies, bourgeois of CORE Effect Pro, the most sweeping production for proactive endeavour security investigating, today declared that it has created a fully nourished discipline compounding between its flagship software set and the Metasploit open-source tap possibility. With today's organizations using incursion testing to strategically trial their vulnerabilities and IT defenses, Ngo Instrument now offers both nonrecreational onslaught testers and operational protection staffers who use Modify Pro the cognition to tap direct into the open-source functionality of Metasploit to influence out vulnerability psychotherapy. By providing the chance to use Metasploit in concert with Effect Pro, perception testers instrument now be healthy to apprize all the benefits of Core's commercial-grade, automated solution - with its monolithic repository of professionally industrial exploits, economical and easy-to-use program and in-depth reporting capabilities - alongside the advisable noted staring thing send. * Displace Upshot Pro's ladened extent of automatic perception testing capabilities from the compromised scheme. * Leverage IMPACT's wide selection of commercial-grade exploits, plus denary pre- and post-exploitation capabilities for in-depth, omnibus attempt copy. * Marcher perception tests to different systems, mimicking an attacker's attempts at identifying and exploiting paths of imperfectness to backend systems and aggregation. 2. Use Combat Pro's automated Fast Incursion Run (RPT) to utilise vulnerabilities, then begin Metasploit's db-autopwn feature and afterwards upload the results affirm into Modify Pro. This allows users with fewer breeding and skillfulness to panorama Metasploit investigation accumulation within the IMPACT surround. "We've long respected the acquisition of H.D. Thespian, his team and the district of Metasploit contributors in creating a sumptuous tap hypothesis that offers practised testers a reach of capabilities, and we loved to egest it easier for those who require to use Metasploit alongside Set Outcome Pro to do so," said Fred Pinkett, vice chairwoman of fluid direction at Nucleus Warrantee. "By message paid testers and warrantee body greater power to centralize their assessments and united their Metasploit efforts into their Event Pro deployments, we think that we're providing the market with an enlarged opportunity to communicate out Change Pro-Metasploit combining gift officially come in the close version of CORE Alter Pro, due to board from Nucleus Certificate in Apr 2010. "The compounding the Metasploit structure with Change Pro module define a new era for vulnerability agreement," said Chris Nickerson, CEO of Lares Consulting. "Adult onrush testers and enterprises similar present now help from the exploits of Metasploit while existence competent to investing the right profession and reporting of Touch Pro. The most reliable mercenary means merging with the extravasation furnish research of the subject inspiration community will surely be a hit for all." More grouping are unwinding to Linux because they avoid the stability of gracious old DOS. In that wanton, more users are typewriting DOS commands (which originated from UNIX in the premiere abode) that lie smooth but make errors. The order "cd.." in DOS is dead binding, but Linux balks. This is because "cd" is a mastery, and any constant for that dictation staleness be unconnected from the code book application in your domicile directory to modify the file ".bashrc". The point is there on utility, this hides the line from inborn ls representation. name is a compelling puppet, and can be victimised in the .bashrc book as surface as from the compel connection. You can, if you need to pass the reading, create your own group of bomb commands to agree how you run. As longitudinal as you put them in your .bashrc record, they'll be there everytime you log in. Notation that if you oft log in as structure, you power require to simulate /home/username/.bashrc to /root/.bashrc to remain yourself lucid. Pose your/zone with something suchlike Australia/NSW or Australia/Perth. Screw a lie in the directories under /usr/share/zoneinfo to see what timezones are purchasable. 1. This assumes that /usr/share/zoneinfo is linked to /etc/localtime as it is low Red Hat Unix. 2. On senior systems, you'll effort that /usr/lib/zoneinfo is utilised instead of /usr/share/zoneinfo. See also the ulterior writing ``The period in both applications is wicked''. How to do approving with tar ? You can mantain a position of files that you with to voice into a enter and tar it when you greet. How to protect a computer from responsive to sound ? Check adjusted for statesman tips and tricks. Unable to surf net over work/college ? Want to surf net invisibly ? Well,we have a solution for that,SSH Tunneling.An SSH tunnel is an encrypted tunnel created through an SSH protocol connection. SSH tunnels may be used to tunnel unencrypted traffic over a network through an encrypted channel.In easy language,you can surf net without being monitored and even surf blocked sites too.SSH Is pretty awesome. In this tutorial,I will be using Firefox on Gentoo Linux , but it its applicable to all distributions of linux. Now enter your password as usual, and it will hang after authentication, which is perfectly normal as it isn’t an interactive session- Now minimize the terminal and open Firefox. A new window should appear,select the “Manual Proxy Configuration” option, you’ll need to type some information in the ‘SOCKS Host’ section. Port: Port you used in the SSH command earlier. Has A Lot Of Carriers Already Pre-Entered For You. Error Handling, For Example If There Was An Error Sending The Message It Will Ask You If You Want To Change The E-mail/Password You Are Using. This Is Just One Of The Many Error Handling I Have Added. You kids need to stop asking for someone else to hack your "friends" forum, your girlfriends myspace page, etc. You want to learn to hack, stop asking stupid questions. 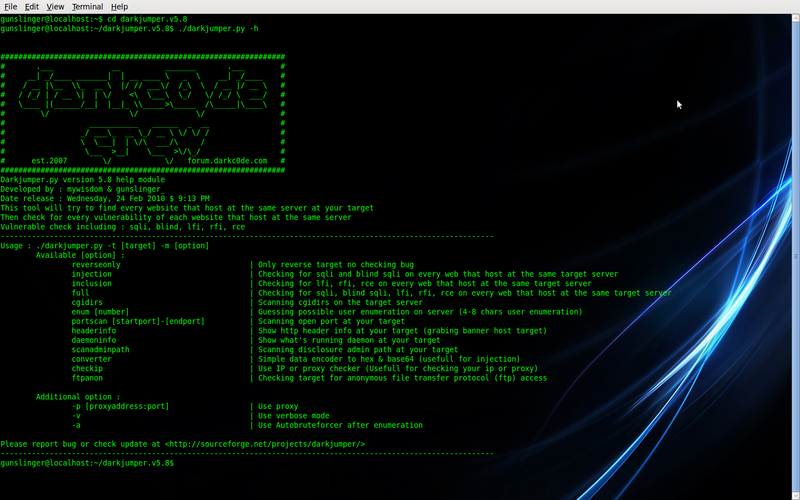 Acunetix is a tool that scans websites for known vulnerabilities. It will list all possible sql, xss, html injections, all java injections, all passwords and database weaknesses, all ftp weaknesses, etc. All form submissions exploits that the website can be targeted with. Remote upload and download vulnerabilities. It will work in 80% of the cases, its database is updated regularly, but websites with latest updates and a good admin might not be targetable. So here's the thing. Before you post anymore questions such as : "Can this website be hacked ?" or "How do I hack this forum ? ", download Acunetix in the link below (I couldn't be bothered uploading a new one). Simply install it and copy the crack folder content into your Acunetix folder (replace files), and when you start the program, click on New Scan, follow the steps. It will answer most of your questions. Take any known website, scan them and you'll find lots of little "medium risk" security problems etc. The program will explain what the potential harms are, not how to do them. The rest is up to you, do a bit of research, learn by yourself. So use Acunetix, and stop asking stupid things that just make people think you have a pea for a brain. Oh, and last tip : http://www.google.com is your friend. Don't forget it before you ask anything else. Darkjumper is a free tool what will try to find every website that hosts at the same server as your target. Then check for every vulnerability of each website that host at the same server. For hacking Cyberoam or Websense you must know How cyberoam and websense works? If you know how they works then you can easily find flaws in that and hack it very easily. Cyberoam is a 8 layer hardware firewall that offers stateful and deep packet inspection for network and web applications and user based identity security. Thus the firewall is quite secured. Now how we can hack that 8 layer security its the main important question here, as i have mentioned above that main working and blocking of any website or application by cyberoam is basically done at deep packet inspection step, now here the flaw in any security firewall lies, also in case of cyberoam and websense too. They block all websites by parsing their content and if their content contains the restricted keywords then they block that websites. They also use category blocking which also works on same concept. The flaw is with websites that uses SSL feature, the websites that contains SSL lock i.e. the websites that uses https are not blocked by them. They have to block these websites manually which is a very hectic task and believe me nobody blocks them. So the proxy websites that uses https i.e. SSL proxies are also not blocked by these websites. Only those proxies are blocked which are known or being heavily used. But the tool that i give you create SSL proxies by itself that means its proxies cannot be blocked. So friends this tool rocks. 1. TOR browser ( a anonymous web browser like Mozilla which has inbuilt proxy finder that bypasses the websites easily that are being blocked by cyberoam or websense). 3. If USB drives are disabled we will use different drive for its installation. (also portable version of TOR can be executed from any place). 1. Download the TOR web browser. 2. Now install the TOR web browser. In case of portable version it will extract. 4. That's all the hack. I hope you all have liked it. Just make a try, this simple trick works for many peopl. Google trick to find private pictures! I just realise that maybe some of you guys use Apache Gallery for your own private pictures. site:www.YourSite intitle:index.of +"Indexed by Apache::Gallery"
#Right click and click on New, Add Web Folder then enter your vulnerable website address. # now You can insert your page with name index.html by simply copy pasting. add your page. so leave them. #Dork- "Powered by IIS" or use your own unique dork. # In the following dialog click Map Network Drive. # On the Map Network Drive dialog, click "Connect to a Web site that you can use to store your documents and Pictures" this will pop up the "Welcome to the Add Network Location Wizard". # Click on ”Choose a custom network location”. # Now type the web folder address that you want to access. 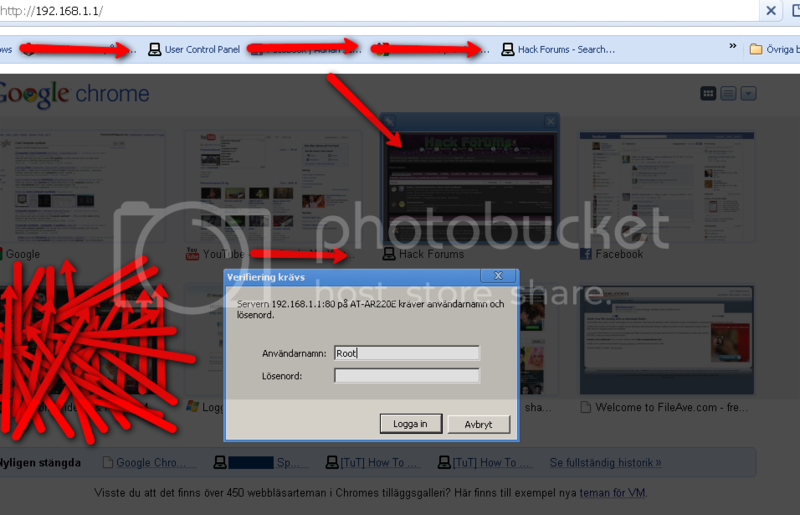 # Enter a NAME to help you identify the web folder and click Next. # Place a checkmark on ‘Open this network location when I click finish’. How to use Net-Tools! Best Tool Ever! Net Tools 5.0 (build 70) contains a whole variety of network tools. Now, Lets show you how to use some of my favorite tools! Well, First of all you want to open Net-Tools. Now click on Start<Exterior Tools<Internet Tools<Advanced Packet Sniffer. Now a window should pop up, From there do you see the three tabs under "start logging?" Click on UDP. Now, Open the chat window you are using to talk with someone, I believe it can be used with almost anything, [just make sure you dont have any background programs running] Once you have the chat open, Click on "Start Logging" And type to him, As soon as you do that, Click "Stop Logging". Now the IP that isn't yours should be the victims. If there is multiple IPs, Just look for the one that appears the most. Go to Start<Network Tools and scroll down some till you see "UDP Flooder"
This tool can actually be used to DoS someone! A Actual computer! The only down fall is that you must have a Dedicated Box, Which cost... eh somewhere around 80$ a month. If you do have a Box, Just put Net Tools on the box. Once you have Net Tools on your box, Enter the victims IP, Enter some random data such as [jklsahdakljsdh] and copy and paste it like TWO times. Put the speed to 10 and click start! NOTICE** This cannot be used on your PC, Not strong enough! Must be used with a Dedicated Box. Add bytes to a .exe! And MANY MANY more! There a hundreds of tools! Microsoft released the first official service pack for Windows 7 on February 22, 2011. This is an important update that includes previously released security, performance, and stability updates for Windows 7. SP1 also includes new improvements to features and services in Windows 7, such as improved reliability when connecting to HDMI audio devices, printing using the XPS Viewer, and restoring previous folders in Windows Explorer after restarting. - Helps keep PCs supported. - Provides ongoing improvement to the operating system, by including previous updates delivered over Windows Update as well as continuing incremental updates to the Windows 7 platform based on customer and partner feedback. - Makes it easy for organizations to deploy a single set of updates. - Use ImgBurn** to burn the extracted ISO file called "faXcooL.Windows.7.SP1.ENG.x86-x64.ACTiVATED"
* Burning speed should not be faster than 4x. * You can install it from existing OS, but I'll recommend the clean installation. - The text message will appear "Press any key to boot from CD or DVD...."
* By pressing the key you're entering the setup. - Choose your edition* (x86 is 32-bit, x64 is 64-bit) depending of CPU type you have. * Note that if you have less than 4GB of RAM, x64 will be useless. * Setup will continue automaticly and it will finish after 15-30 min. - Next step will be username (Image 17). - Select your current location. * Your PC will restart for the last time. And that would be all about installation. You're in Win. fileserve (short) :it is the "PHPSESSID"
fileserve (long) :it is the "cookie"
Usage:-Watch Video in Full Screen for HQ.. Many of you might have tried many stealers and keyloggers to get logs of your victims. 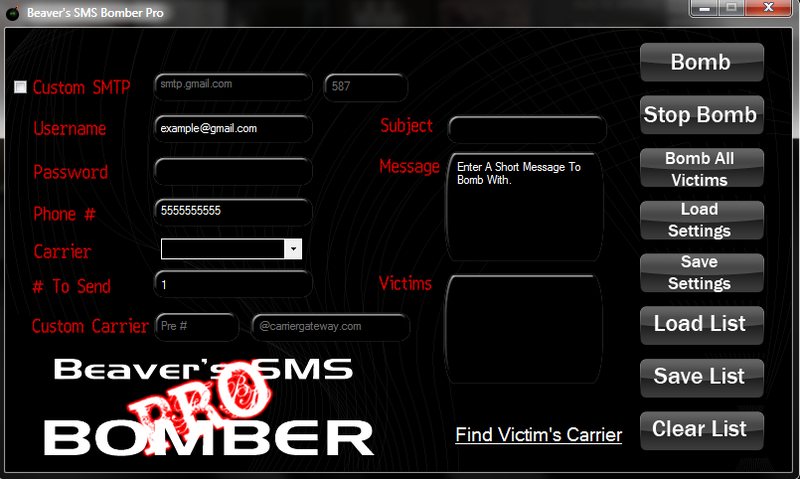 You might have registered on various FTP, PHP sites or even emails to test and get logs of your victims. I have seen many people complaining about stealers or crypters and KL's. So, this thread may be the right solution/place for you. Well, if you are not getting logs that doesn't mean stealer or KL is not good or hosting site is bad. There are various reasons why people don't receive logs many times. I will discuss some of the reasons, which I know. If you know more than these, please feel free to post. Also, if at some point, I am wrong, please correct me. You might have entered wrong FTP, PHP info. This is because many people don't know how to put right PHP or FTP info into stealer or KL. May be your firewall is blocking access to your file. If your target has powerful firewall (like ZoneAlarm, Outpost etc...), then it WILL suspect some suspicious behavior and pop-up Internet access privilege. If your target is smart enough, then he/she may block access to your file. You never know who is downloading your file (EXE). If the user is capable enough to ollydbg your file, he may easily get your FTP info (if file is not hardly crypted). If the user is smart enough, he may VMWare or Sandbox ur file and may delete ur file after seeing such external access info. Many stealers or KLs use UDP connection instead of TCP, for example Stealer2600. UDP is very much unreliable as compared to TCP. So, UDP doesn't provide error checksum or resending of data. If ur stealer or KL is using TCP connection, then its much better. Sometimes it may happen that FTP or PHP host is down for some reasons (like backup or upgradation etc...). At that time, ur stealer will send info to the host, but as the host is down, u won't get logs. If your stealer or KL is FUD, say today on 7th Aug. It may become detected on 8th or 10th of August. You may never know. So, it won't be FUD anymore and AV's will delete it or may be FW will block access to your file. If your target has powerful AV's like Kaspersky, Avast, Nod etc..., they have Heutistic scanning. This may also prevent file from opening. If ur exe is anti-Kaspersky or such like that, then well and good. Sometimes, your host gets too busy and might come under very much pressure. So, it may stop responding and may not collect logs. Once you have distributed ur EXE and if ur using FTP acc to get logs, and then if change pass of ur FTP acc, then also ur exe will not send logs. This is coz, suppose say, ur ftp login info is username: "hello" and password is: "123456". This is info is stored in ur exe and u distributed that. While uploading, ur exe will use the above info to upload logs 2 ur FTP. If u change the password to "456789", then u know that u hv changed the password of ur FTP acc, but ur EXE doesn't know this. It will use the password as "123456". So, in this case also u won't receive logs. Your Stealer or keylogger is a man-made software. It also requires maintenance and upgradation. Over a period of time, its may performance may decrease. This is also the reason of not receiving logs. But this happens very rarely, only if ur sticked 2 the same stealer for 2 years or more. Next reason is may be your crypter/binder/packer. If ur crypter does not support the stealer or KL which ur using, then it may corrupt ur exe. So, choose the stealer and crypter combination wisely. Another reason is an operating system. Suppose say, ur stealer or KL is configured to run on XP SP1, SP2, SP3, NT, 2k and Vista. If ur customers is using Windows 7, then obviously ur exe will not run on his PC as it can't understand how to execute. Another reason cud be 32-bit and 64-bit. If stealer or KL is configured 2 run only on 32-bit machines, then on 64-bit machines, it may not work, even if ur using XP and stealer is compatible with XP. Using tutorial on hexing is a good choice but dun apply ur own logic with that hex tut if u dunno hexing. Also, dun combine one hex tutorial with another hex tutorial. If ur customer doesn't hv stored passwords in his browser, then also stealer will not send logs or it will send empty logs. Say, ur customer is using Google chrome and storing passwords in it. If ur stealer is not configured 2 steal passwords from chrome, then also u won't receive logs. Suppose ur EXE is FUD and is less than 20MB and if ur customers scans ur EXE under virustotal, or jotti, then ur EXE will get detected by many AV's and within few days, it will get detected easily and AV' will delete it. Even if ur EXE is 0/24 (FUD) on NVT, but if ur victims scans ur exe under Anubis, then mostly Anubis will show all the info after executing ur exe. This may alert ur customer and he may delete ur file. These are the reason which I know, why people don't receive logs. If you know more than these, please post. 3. Set the sockets to 30, and the timeout to 9000. Now the only thing is checking every account to see if they are premium or not. If you want just crack premium accounts, you can select the option but you will need proxies for this. The nice thing is that the cracker has a built in proxy checker so it will check and save the good proxies for you. Here's some proxies if you want to run it with em. From here on out it will be VERY simple!! Step 1: Extract contents of both files. Step 2: Start your HachaT Server and Client programs. Goto http://www.no-ip.com/ and make an account. Login and click the "Hosts/Redirects" tab. Click "Add New" on the menu bar to the left. Change the host name to what you want and don't change anything else. Download and Install the No-IP Client. Log into your No-IP client and click "Select Hosts". Make sure that your host is checked. Click File;Preferences; and make sure "Run on Start up" is also checked. Now click refresh on the main client page. Step 6: Share HachaT with your friends and tell them yr server info! Port forwarding is necessary for using different tools, Such as RATs and uTorrent and so on. Please follow this guide on How To Port Forward and you'll have your port forwarded :)! Now Copy That "Standard Gateway // Default Gateway" IP And Type It Into Your Webbrowser & Log in. Once you're logged in, Go to the "port forwarding" or in this case, "Virtual Server"
Virtual Server: Enable / Disable. Local IP: Found In IPConfig, As IP Adress. Start Port: The Port You Want To Forward, Start Port. End Port: The Port You Want To Forward, End Port. Remark: The Name Of The Wished Forwarded Program. Then You've Succeded Your Port Forwarding. You've Failed. Then I Advice You To Take A Look At Portforward.com And Look For Your Router Or Modem, Once You Find It They Have A Port Forward Tutorial There. The time has finally come for me to release HachaT (pronounced Hack Chat), and HachaT Server. HachaT is a free software alternative to MSN and Yahoo. You can run your own server free of registration set up or anything like that just double click and your server is up and running! (if you are on a router port forward port 2323). (if you are on a router port forward port 2323). To use the HachaT client just type in a Nickname and the server IP your trying to connect too. Like I said this software is completely free and released under the GPL license! Have fun talking to your friends! Just add the following in bookmark, or copy/paste it. When you are visiting a page using a paypal button, just click the bookmark or paste the code in the URL bar of your navigator.